Kathleen Maier, P.A., R.H., has been a practicing herbalist for over twenty years. She is currently director of Sacred Plant Traditions in Charlottesville, VA, where she offers a three-year Clinical / Community Herbalist training program. 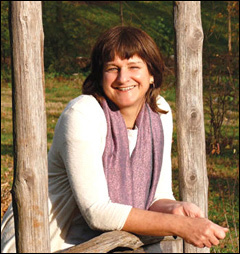 Kathleen is a founding board member of Common Ground Healing Arts, which is a collective of practitioners that offers its services to Charlottesville on a donation basis. She also is a member of the board of directors of the United Plant Savers, and was the recipient of their first Medicinal Plant Conservation Award. Kathleen’s studies of plants began as a Peace Corps volunteer in Chile, and her training as a Physician’s Assistant allows her to weave the language of medicine we know today with traditional energetic systems.